We’ve previously discussed this building back in April 2012. 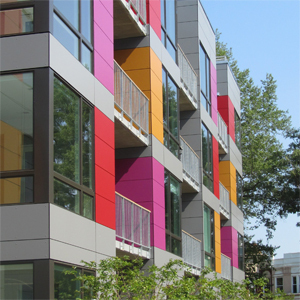 Designed by award-winning architect, Suzane Reatig Architecture, Bailey Park DC offers oversize rental flats and duplexes in a boutique apartment building. Located across the street from the Shaw Metro and in the center of the Howard Theatre District, Bailey Park DC is walkable to major dining and entertainment nodes, including 14th Street, U Street Corridor, Penn Quarter, Chinatown, and the National Mall. Open floor plans offer up to double the square footage of comparable units currently available in the DC metro area. 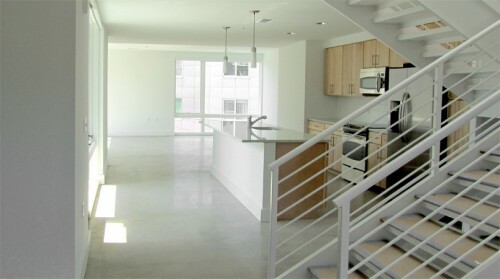 Bailey Park DC units feature spectacular high ceilings, floor to ceiling windows, and private balconies or terraces. Enjoy the beautiful views of downtown from the rooftop terrace, or relax in the private courtyard.